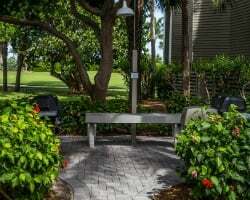 Embrace the quiet shores and spectacular sunshine of Captiva Island with your very own unit at the Cottages at South Seas Resort. 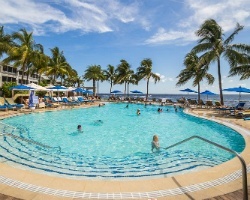 Find affordable timeshare accommodations online today with SellMyTimeshareNow.com. What’s My Cottages at South Seas Island Resort Timeshare Worth? Florida's Gulf Coast is proof that you don't need to travel far to find paradise, and the Cottages at South Seas Island Resort provide the perfect accommodations for those looking to escape. Nestled on the shores of Captiva Island, the Cottages provide a quiet and relaxing respite for guests wanting to escape the daily grind. Relaxing by the pool with a cold drink is strongly encouraged, and the South Seas Island Resort's nine-hole golf course is positioned just beyond your doorstep for immediate enjoyment. Regardless of how you envision spending your Florida vacation, relaxation is the name of the game at the Cottages. The cottage-style accommodations at the resort provide a comfortable, antique charm to your stay. A classic design complete with desirable furnishings and in-unit features will ensure the comfort of each person in your group. Two bedrooms in size, the Cottages are perfect for families looking for a special beach getaway, or a small group of friends seeking out a stay in paradise. 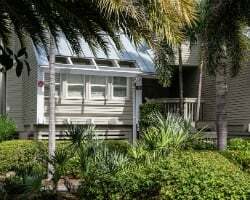 With private balconies and patios, fully-equipped kitchens, and even washers and dryers, you'll feel right at home at the Cottages at South Seas Island Resort. Are you ready to find your dream island getaway along the Floridian coast? Fill out the form on this page to learn more about the ownership options at the Cottages at South Seas Resort, or call a representative at 1-877-815-4227. Buying a timeshare at the Cottages at South Seas Island Resort will result in years of great trips to Captiva Island with plenty of special owner benefits to enjoy. Through the timeshare resale market, you could get all that for thousands less. Timeshares sold on the secondary market by current owners often features prices much, much lower than what's available from the resort itself. You can find the same great ownership opportunities at the Cottages at prices up to 70% lower than retail costs, allowing you to save big upfront as well as on future trips. Resales at the Cottages are available in the form of deeded fixed and floating weeks, as well as in Hilton Grand Vacations Club points. Additionally, timeshares at all South Seas Island Resort property fall within Hilton's Silver, Gold, and Platinum seasons, which will result in a number of different point values and prices to consider when making a purchase. A resale could even act as your path to better and more beneficial vacations with the Hilton Grand Vacations Club. The Cottages at South Seas Resort are affiliated with the Hilton Grand Vacations Club, one of the most in-demand vacation clubs in the industry. With a timeshare resale at the Cottages, you can more easily enter the Hilton Grand Vacations Club and enjoy its variety of exclusive benefits. While you won't be able to enroll in the club at the Elite level, you'll still be able to enjoy other perks, such as banking and borrowing points for more flexible vacations, converting unused HGVC points into HHonors points, and even exploring other travel destinations by booking at other HGVC resorts. Exchanging your timeshare can help you get the most out of your resale ownership, as it can act as your ticket around the world. The Cottages at South Seas Island Resort is affiliated with RCI, the world's largest timeshare exchange company. As a resale owner at the Cottages, you can deposit your Captiva Island accommodations into the RCI exchange network and trade for stays at comparable resorts around the globe. RCI also offers members the chance to trade for other travel perks, like cruises, weekend getaways, and more. This Hilton Captiva Island resort features a host of amenities and services that will make your Florida vacation one to remember. Guests can relax by the outdoor swimming pool to take in the rays or cool off, while the exercise facilities are there for those who would rather stay on top of their fitness goals. The South Seas Resort's nine-hole golf course is available if you love hitting the links, and the tennis courts are perfect for some friendly competition. The resort's best amenity, however, is its location. You'll find the beaches of Captiva close by, along with plenty of opportunities to charter deep sea fishing excursions, embark on sailing tours around the Gulf waters, or try your skills at paddleboarding or surfing. You can also head south to Sanibel Island, which offers more opportunities to explore. Observe the distinct wildlife at the J.N. Darling National Wildlife Refuge, or stroll the shores for rare and exotic seashells. Already Own at Cottages at South Seas Island Resort?